I would like to welcome the school community to the 2018-2019 School Year! We are looking forward to working with all of you this year on behalf of Coast Mountains learners, and continue to make progress towards our district goals. District Goals … Raise literacy and numeracy levels for all of our learners. Graduation for every learner; crossing the stage with dignity, purpose and options. Enhance learner engagement, opportunities and choice through personalized learning. I look forward to continue leading the way to turn these goals into reality, and I hope you will all join the Board of Education, School District 82 staff and myself in this quest for successful learning. 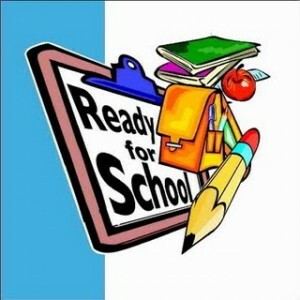 School Opening … the first day of school will be Wednesday, September 5. We have well established routines and we will follow our normal opening day routines with a shortened first day. Buses will make their morning runs at the usual time on September 5 with their return runs after students have been in attendance for approximately two hours. Mount Elizabeth Middle/Secondary School students please reference below for September 5 start times. As you will know, these first days allow us to greet students, set preliminary enrolment and then prepare in earnest for the coming school days. Our first full day of school will be Thursday, September 6 with regular school hours and bus runs in effect. Bus routes and school start times are provided below. If you require information on which school your child should attend, please call (250) 638-4401 or 1-855-635-4931, Local 4401. We look forward to welcoming your children in our schools on September 5. AUGUST 28 & 29, 2018 FROM 9:00 A.M. TO 3:00 P.M.
which will run in local newspapers in preparation for the new school year. On September 5 only, buses for all schools will make their morning runs at the usual time and their return runs after students have been in attendance for approximately two hours. On September 5, Mount Elizabeth Middle/Secondary School, Grades 7 and 8, report to the large gym at 9:00 a.m.; Grades 9 to 12, report to their home room at 12:30 p.m. A second bus run for Mount Elizabeth Secondary will begin at 11:40 a.m. on September 5. ON THURSDAY, SEPTEMBER 6, 2018. Terrace: School buses will only be provided to students living outside the city boundaries. Those students living within city boundaries should consult the Terrace Regional Transit System for scheduling information and rates at 250-635-2666. 1) Contact your child’s/children’s School Principal. 2) Contact the Operations Manager at Diversified Transportation bus lines at 250-635-7042 or 1-855-538-5287 for out of town.